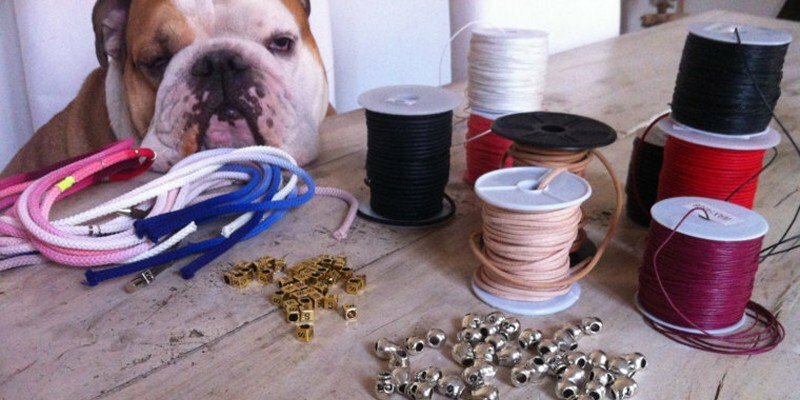 My bulldog Ettore is a big help and inspiration…. 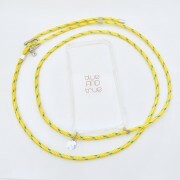 blueANDtrue is a long neck chain in different styles with a holder for a phone that allows easy access to your phone to take photos and notes and answer calls without having to put stop to whatever you are doing. blueANDtrue also holds the phone upside down so when it is used the screen doesn’t have to be turned around. 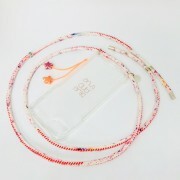 Keeping your phone around your neck is vital in locations with sand like on the beach or party or even untidy studios or building sites where someone might step or sit on it or where it could even get lost in the chaos. 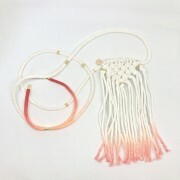 Apart from it being practical, blueANDtrue is also a beautiful accessory. Samja originally made blueANDtrue for her own use and then was inundated with requests from friends and colleagues to recreate one for them.